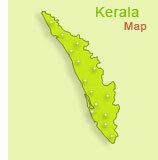 Pathanamthitta is one of the fourteen districts of Kerala state in South India. It was formed on 1 November 1982 with headquarters at Pathanamthitta town. Pathanamthitta is a landlocked district situated in the southern part of the state, and is bordered by Kottayam and Idukki districts in the north, Alappuzha in the west, Kollam in the south and has a border with Tamil Nadu in the east. The district was made up from combining areas from the Alappuzha, Idukki and Kollam districts. Major towns in the district are Pathanmthitta, Tiruvalla, Adoor, Ranni, Konni, Mallappally and Kozhencherry. More than 50% of the geographical area is covered by forests. The district's name is a combination of two Malayalam words pathanam and thitta, which together mean "houses by the riverside". Pathanamthitta is a pre-dominantly agricultural district with cultivation of coconut, rubber, paddy, pepper and tea. The hilly terrain coupled with high humidity make it suitable for rubber and tea plantations. Hydroelectric power plants situated in the district cater to one-third of electricity demands of Kerla state. Three important rivers Achankovil, Manimala and Pampa flow through the district. Pampa that originates from Sabarimala is considered a holy river. Pathanamthitta holds the distinction of being declared the first polio-free district in India. Population : 500 - 1000 mt. above sea level. Kozhengerry, Thiruvalla, Mallappalli, Ranni, Adoor. Omallur is famous for the Rakthakanta Swamy Temple and the annual cattle fair held in the Malayalam month of Meenam. People from both within and outside the State participate in the fair. Malayalapuzha houses the Bahagavathy Temple and the goddess here is believed to grant boons to devotees and help them realise dreams. The temple has beautiful wall paintings and artistic stone carvings. Kadamanitta holds the Kadamanitta Devi Temple, famous for the ten day long Padayani performances held in connection with the annual festival in April/ May. Konni is an agricultural region, rich in cash crops like rubber, pepper, coffee, ginger etc. It was once the centre for training elephants and is now known for its elephant rides and the Anakoody where elephants are tamed and trained for work. Muloor Smarakam is a memorial to Muloor, a renowned social reformer and poet and is located at Elavumthitta. Kodumon Chilanthiyambalam - The water of the Chilanthikinar (well) in the premises of this temple is believed to cure skin diseases. Perunthenaruvi - The Perunthnaruvi waterfalls on the banks of the Pamba River is a favourite picnic spot for both domestic and foreign tourists. Sabrimala is one of the most famous pilgrim centres in India, situated on the mountain ranges of the Western Ghats at an altitude of 914 m above sea level and is accessible only by foot from Pamba (4 km). The temple is dedicated to Sree Ayyappa Pilgrim season: November to mid January. Mandalapooja and Makaravilakku are two main events of the pilgrim season. The temple stays closed during the rest of the year except for the first days of every Malayalam month and during Vishu (April). Nearest railway station: Thiruvalla (102 km). People of all castes are permitted into the temple. However, entry is not allowed to women between 10 and 50 years of age. Arnmula - Nearest railway station: Chengannur - 10 km. The Parthasarathi Temple (dedicated to Sree Krishna) on the banks of the holy river Pamba attracts large crowds of devotees. The famed Arnamula boat race is held on the last day of the week long Onam festival. The Vijnana Kaladevi at Arnmula impart straining in the traditional arts like Kathakali, classical dances, classical music, as well as Kalaripayattu. Foreign tourists stay here for long periods to get a first hand knowledge of the culture of Kerala. The Parthasarathi Temple here has fine murals from the 18th century. Arnmula Boat Race: This famous water fiesta is held during Onam (August-September). The snake boats assemble near the Sri Parthasarathy Temple before the grand procession. Each boat is 100 ft. long and accommodates 4 helmsmen, 100 oarsmen and 25 signers. The snake boats move in pairs to the rhythm of full throated singing and shouting, watched by an excited crowd. Arnmula Kannadi: Aranmula is also famous for its metal mirrors, a unique craft which is not found anywhere else in the world. Pamba - This is the main halting point on the way to Sabrimala. It is also known as Thriveni Sangamam - the meeting point of three rivers. Thiruvalla is the headquarters of the Malankara Marthoma Syrian Church. The Palikara Church here has some exquisite mural paintings. The Sree Vallabha temple is Thiruvalla is perhaps the only one in Kerala where Kathakali is performed as a ritual offering everyday. Mannadi, 13 km from Adoor, is a beautiful place housing the ancient Bhagavathy Temple that has some exquisite stone sculptures. The annual festival is held in February/ March. 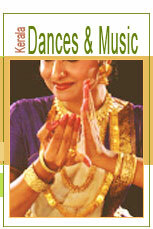 The Kerala Institute of Folklore and Folk Arts functions here. Niranam, 7 km from Thiruvalla, is the oldest Christian church in India, believed to be built by the apostle St. Thomas in AD 52, is situated at Niranam. Rail : Nearest railway station: Thiruvalla (30km); Chengannu (28 km). Road : Pathanamthitta is well connected by an excellent network of roads to all major towns in Kerala.